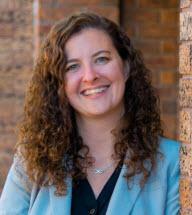 Katie is an experienced trial attorney, having worked with the Colorado State Public Defender for five years. While serving as a public defender, Katie zealously represented hundreds of clients on many different types of criminal cases, in both misdemeanor and felony matters. Katie is a skilled litigator who has garnered a vast amount of courtroom experience that allows her to effectively advocate for her clients, both in and out of the courtroom. Katie believes that her role as a lawyer is to provide diligent and dedicated representation to her clients, always making sure to keep her client's priorities in the forefront of her representation, and making sure to offer compassionate and skilled legal advice and advocacy. Katie earned her law degree from the University of Texas at Austin School of Law in Austin, Texas in 2011, and graduated with honors. While attending law school, she actively participated in practice-based programs such as the Capital Punishment Clinic, where she spent two semesters helping the clinic attorneys work on actual cases. Katie graduated from Emory University in 2008, earning her Bachelor's degree in English Literature. She has lived in Northern Colorado for the last five years.